A big operation is under way. Police are telling people to stay at home and avoid the streets. 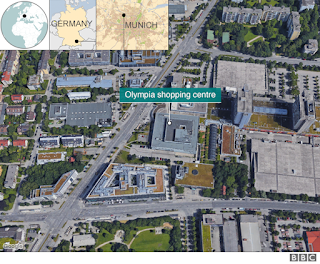 Several people have also been injured at the shopping centre in the north-western Moosach district. Reports speak of one attacker. Some shopworkers are reportedly unable to leave the building. There is no information about a possible motive for the attack. The security forces have been on alert after a migrant stabbed five people on a train in Bavaria on Monday. The authorities had warned of the danger of further attacks. A man working at a local petrol station told the BBC: "We see just ambulances and it's like firemen and police but all this area is evacuated, all the streets. "Now [there] are no cars just on the side of the streets. All of the streets are blocked. I see that the people are scared. Everybody are running around." Public transport is said to have been suspended as the security operation continues. 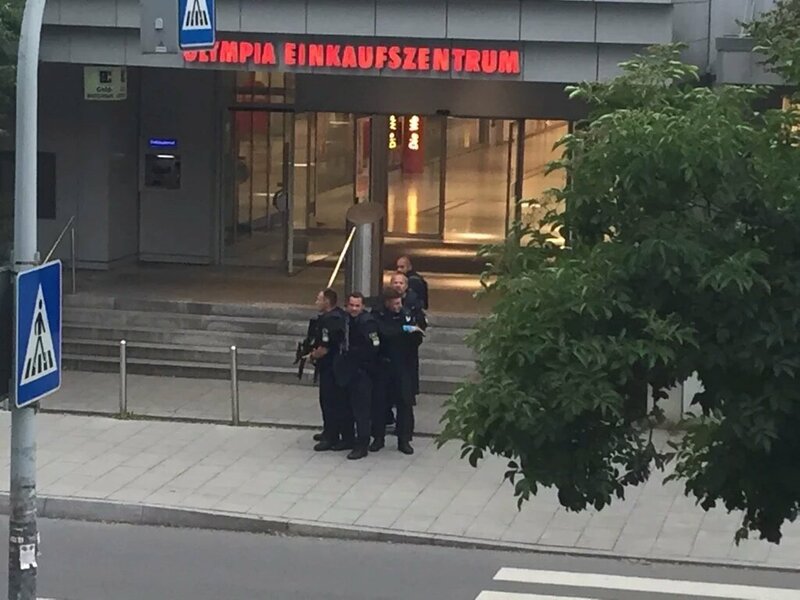 The shooting is the second attack in Germany in less than a week. On Monday, a 17-year-old Afghan wounded four people in an axe and knife attack on a regional train near the Bavarian city of Wuerzburg, and another woman outside as he fled. All survived, although one man from the train remains in life-threatening condition. The attacker was shot and killed by police. The Islamic State group claimed responsibility for the train attack, but authorities have said the teen likely acted alone.